Calibrated check valve creates air-lock to keep lube from running out while you install drain plug. ..
Gear case adaptor kit/ 551331 Fits: 551-33-1 Gearcase Filler,551-34PV, 551-33HA &551-34HA Hose Assem.. 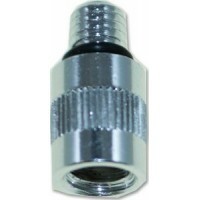 The check valve on the vent allows you to remove the filler nozzle without loosing any appreciable a.. Combination unit that does pressure and vacuum testing in one unit. Includes hose. 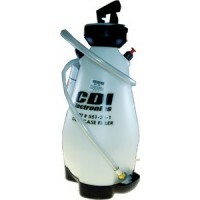 Description: Test..
Volvo adaptr/ 551331 gc filler Fits: Can be use with 551-34PV vacuum/pressure tester or 551-33-1 gea..
Replaces: Mercury Mariner 91-17256Removes and installs driveshaft bearing retainer on MC-1, R-MR, Bl..